​​ SAN ANTONIO | SUGAR LAND | KATY – The Westover Hills Medical Plaza, which includes three medical offices, is among the properties within a 1.4 million-sf portfolio purchased by an affiliate of global real estate investmen​t firm Heitman LLC. The three medical offices make up just over 200,000 sf in the larger portfolio, which includes 17 buildings in seven states. 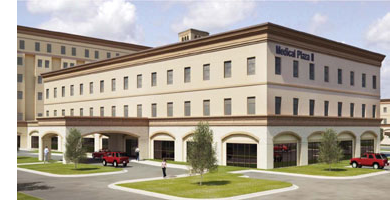 Besides the Westover Hills Medical Plaza in San Antonio, Texas was also represented in the sale by two Sugar Land Medical Plaza buildings and two Katy Medical Plaza buildings in Houston. The rest of the portfolio consists of properties in New Jersey, North Carolina, Virginia, Missouri, Illinois, and Indiana.